ARMOROC is a structural cement board (cement bonded particle board - CBPB) used in the construction of fire-rated roofs, floors, walls and a variety of other applications including modular, SIPS & OEM. By combining the physical properties of Portland Cement with the strength of mineralized wood fibers, ARMOROC is well suited for applications where durability is a concern. Important: Confirm all products meet local code before specifying, purchasing or installing. Fire Resistance: ‘Class A’ per UL 723 / ASTM E84 (0 Flame / 0 Smoke). Dimensionally Stable: Excellent resistance to dimensional changes. Available across the USA through strategically located distribution centers. Use for fascia & soffit panels, parapet walls. Additionally: Ceiling Panels, Ducting & Service Areas, Bathroom Stalls & Wet Areas, Moulding, Trim & more. The applications are limitless: Schools, Assisted Living Facilities, Multi-Story Residential, Auditoriums, Movie Theaters, Mezzanines, Hospitals, Industrial, Modular, Libraries, Universities, Dormitories, Parapet Walls, Correctional, Airports, Sound Barriers, Hotels, Transportation, Prefabricated Panels, Roofs, Walls, Floors, Fire-Rated Assemblies, OEM, SIPS, Access Flooring, Catwalks, etc. Loading data for other thicknesses / applications may be available, contact your local sales rep for more information. Addendum A (page 25) has the test results including the glue. To comply with the Armoroc UL & MEA fire-rated assemblies, which do not include any glue, we have tested the shear diaphragm without glue in the joints. Always check that your fire-rated assembly is in agreement with your diaphragm design regarding glue where applicable. We are publishing the ultimate shear value, providing the engineer the opportunity to apply the appropriate safety factor required for wind / seismic based on the preferred method of load calculation for each project. Ameriform has tested Grabber products for use with our structural cement board systems and recommends them for use in all our structural floor, roof & wall applications. Ameriform is an authorized dealer for all Grabbers tools, fasteners, bits, accessories & parts. We can sell & ship your installation system with your building materials. Simplify your purchasing process and contact us for a price! Lab Tested and Field Proven for Structural Cement Board (CBPB) and Structural Fiber Cement Board installations over metal framing. LOX Drive – proprietary drive, 12 points of contact, no waste, no wobble, no cam out, no slivers, stick fit, high torque, drives off angle, exceptional bit tip life. Self-Drilling, Winged Tip – allows this fastener to drill through dense structural cement board and into the metal framing without clogging the threads or racking / lifting the decking before the fastener penetrates through the metal framing member. 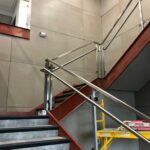 Grabber Guard Coating – protects fasteners from corrosion due to moisture as well as galvanic action due to high Ph consistent with portland cement. Ameriform sells these in bulk cases (2500 pc count) or in custom packed small boxes (500 pc) for smaller jobs. Grabber – CHS8200JBW / SuperDrive 7540XT - Collated Structural Cement Board Screw and Collated Screw Gun for Rapid Deck Installations. Grabber’s SuperDrive industrial-strength, fully automated fastening tool is engineered with a durable, lightweight, compact design and is built to last. Grabber has a SuperDrive tool for almost any fastening application including sub-floor, roof-decking, wall sheathing, drywall, metal framing and more. ALL GRABBER ITEMS ARE IN STOCK! 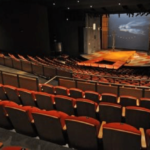 Ameriform has tested PEMCO P5100 adhesive for use in Armoroc fire-rated floor assemblies. Pemco P5100 is a 100% solids (zero V.O.C. ), one component, moisture cure, polyurethane adhesive. PEMCO P5100 is an important component of Ameriform's fire-resistant building system, and can be used to bond the joints of ARMOROC™ Panels in structural floor and/or roof applications (requirements vary by application). Customers can purchase PEMCO P5100 directly from Ameriform to fulfill their adhesive requirements. Purchase PEMCO 5100 as part of your building system package, or as an individual component. Product comes in 11 ounce tubes and can be purchased by the case (30 tubes) or individually. PEMCO P5100 is IN STOCK! and ready for shipment. Pemco is manufactured by Alpha Systems Inc, an ISO 9001 registered factory. Please contact a sales representative for pricing & availability. 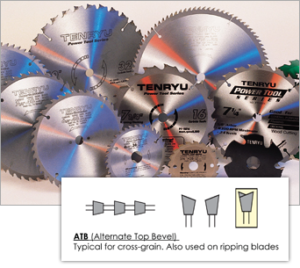 Tenryu is known around the globe as the premier manufacturer of quality saw blades. Tenryu tested our structural cement boards and selected Model PT-18524AM, 7-1/4" Blade, 24 Tooth Carbide Tip circular saw blade for cost-effectively rough-cutting through dense structural cement board. Ameriform carries these blades in stock as part of our installation system. You can buy them by the case (100 pcs), by the box (10 pieces) or per blade. Contact a sales representative for pricing and availability. As an Authorized Tenryu dealer Amerfiorm has access to every Tenryu blade available. If you are looking for a Tenryu product, Ameriform can get it. Ameriform researched every cutting system and selected Skilsaw Model SHD77M for rough-cutting dense structural cement board. 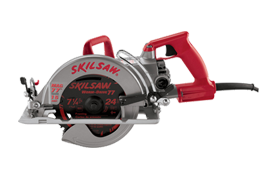 The Skilsaw Model SHD77M is a 7-1/4" Magnesium Worm Drive corded saw designed with enough strength and durability to stand up to cutting dense structural cement board over the long term. Equipped with a powerful 15 Amp Motor, the light magnesium housing (2 lbs. lighter) reduces user fatigue. Ameriform is an authorized SKIL dealer and carries the SHD77M in stock for shipping with your structural cement board and accessory order as a kit. Contact a sales representative today for pricing. The kit includes a Armoroc samples and product info. Order your free kit today!